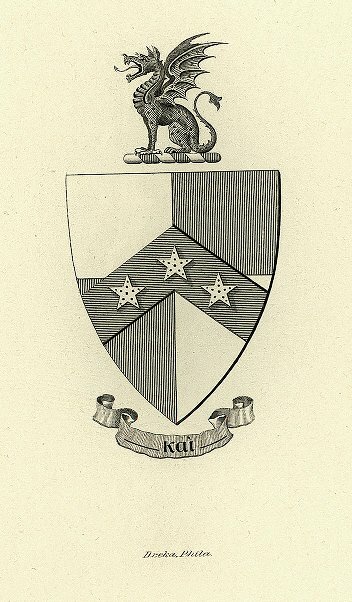 Penn’s Phi chapter was established on March 6, 1880 and first appeared in The Record of 1880. The national fraternity was the first “western” fraternity, founded in 1839 at Miami University in Oxford, Ohio. Phi chapter was dropped from University of Pennsylvania directories in 1968. The chapter was re-established in March 1977. Suspended by its national, parent organization in November 1985 due to decline in membership at Penn, it regained charter soon after February 1986, probably in the summer of 1986. Membership declined to just two in 2000, but the Phi chapter remains active in 2003. Maxwell’s Greek Letter Men described Beta Theta Pi as “the first so-called ‘Western’ fraternity” and credited John Reily Knox as its principal founder. Maxwell placed Beta Theta Pi seventh in his chronological list of American fraternities. It was the first of what became the “Miami Triad,” the others being Phi Delta Theta (founded in 1848) and Sigma Chi (1855). In 1940 the national fraternity of Beta Theta Pi claimed that its membership magazine, “Beta Theta Pi,” was the oldest fraternity magazine in the country. Henry Martin Acheson (M.D. 1880), Charles Adamson (B.S. 1880; LL.B. 1882), Joseph Wright Adamson (B.S. 1880), Charles S. Boyer (Medical Class of 1882, non-grad. ), Thomas Lyon Hazzard (M.D. 1881), William P.S. Henry (M.D. 1882), William Thomas Hildrup, Jr. (A.B. 1882), William Wright Jaggard (M.D. 1880), John Steele Mabon (M.D. 1880), Thomas McKean Thompson McKennan (M.D. 1882), Charles Gorgas Michener (College, Class of 1882, non-grad. ), Joseph Truesdell Noble (Law School, Class of 1881, non-grad. ), Samuel D. Risley (M.D. 1870), and Howard Singer Stetler (A.B. 1882; M.D. 1885). After what appears to be just a brief life of eight years, the Phi chapter disappeared from The Record. The reason or reasons why it did not appear in the six editions of The Record published between 1888 and 1895 have not been determined. In any case, the Phi chapter re-appears in The Record of 1895, composed of two alumni members and twenty-three students. 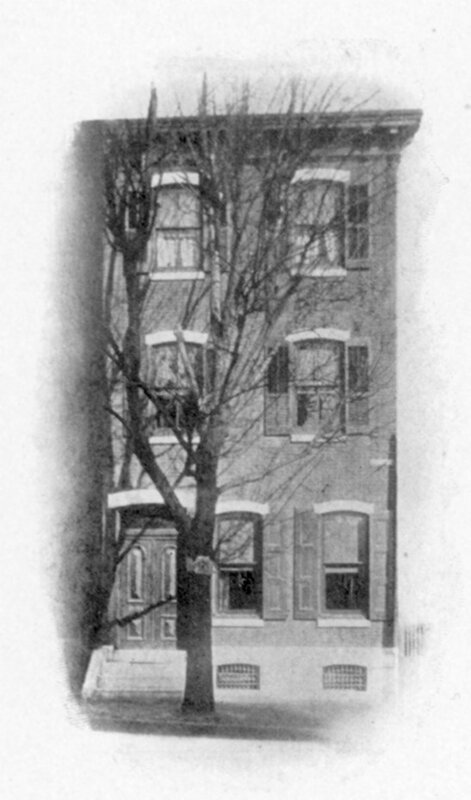 Maxwell, in Greek Letter Men, stated that the Phi chapter had built and occupied its own house, “directly opposite the University,” sometime prior to the publication of his book in 1899. The Record for 1904 gave the street address at 3529 Locust Street. Nitzsche, in University of Pennsylvania, provided more detail. 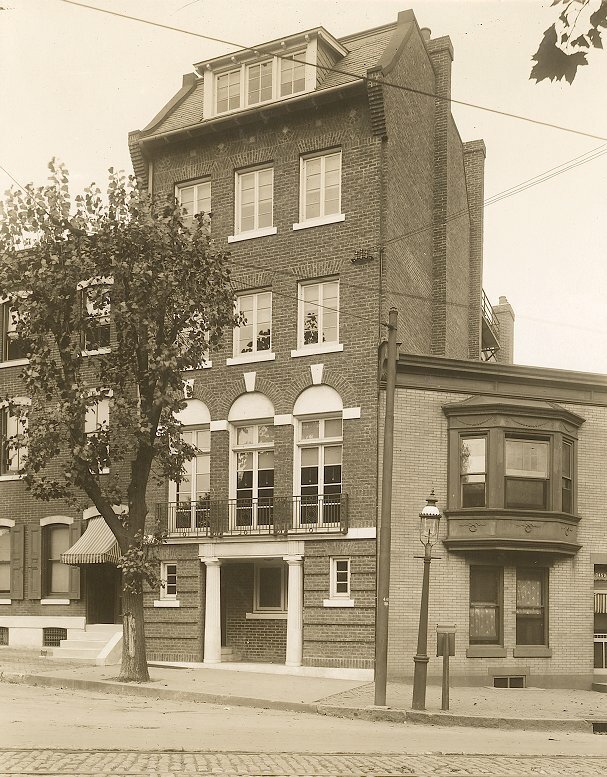 He stated that the Phi chapter engaged the architectural firm of Savery, Scheetz, & Savery to design a club house for them at 3529 Locust Street. One of the partners, William C. Scheetz, was a member of the fraternity and was no doubt responsible for the work. Brownlee and Thomas, in First University, stated that the building was demolished in 1977 as part of the creation of Blanche Levy Park. Beta Theta Pi subsequently moved to 3900-02 Spruce Street, where it remains today. After its membership declined to just two, the Phi chapter was reorganized at Penn in the spring of 2001.